Beginning around 2006 roads were constructed along the Annapurna Circuit trek route, providing faster access for locals to medical facilities and for shipping goods to and from the villages. For several years the roads reduced the appeal of the Circuit route for trekkers who didn’t want to contend with the dust and noise of vehicles passing them by. Fortunately in the past few years a series of excellent new trails have been built along the route away from the roads. The new Annapurna Circuit trekking trails now cover at least 75% of the route and offer a very appealing trekking experience. This is especially true on the western side of the Thorung La pass where the trails are on the opposite side of the Kali Gandaki gorge and pass through beautiful pine and juniper forests high above the river. Best of all, the trails have yet to be discovered by most trekkers so the hike down from Muktinath to Tatopani is on uncrowded trails and through remote villages virtually untouched by foreign travelers. There is also the option now of combining trekking and biking along the Circuit route. After crossing the Thorung La, starting from either Muktinath or Jomsom, you can take a mountain bike ride all the way down to Tatopani. The ride is mostly along dirt roads with several optional excursions onto remote single track trails. Biking can also be arranged starting with a flight to Jomsom and a 5 day ride up and back from Muktinath. 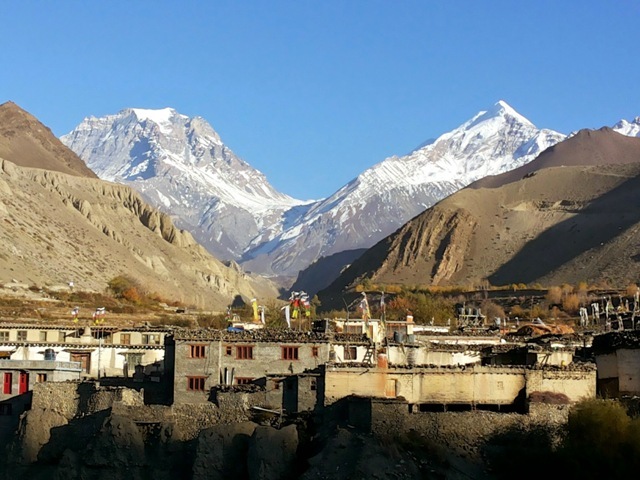 The route from Jomsom to Muktinath and back (Lower Mustang region) can also be arranged as a 10 day trek that is almost completely along the new trails away from the road. There are several hiking and/or biking options, so let us know your interests and capabilities and we will recommend the ideal trek for you in this magnificent part of Nepal. If crossing the Thoruung La on the Annapurna Circuit seems too daunting but you’d like to experience a lower altitude “circuit” trek, we have just the trek for you. The Langtang Valley has always been one of the more popular short treks in Nepal, but is usually a 6 day “out and back” route and requires a long drive back to Kathmandu. 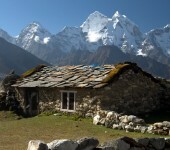 By extending the trek at the beginning and end Langtang becomes a unique circuit-style route that has an incredible diversity of terrain, village cultures, and scenery. 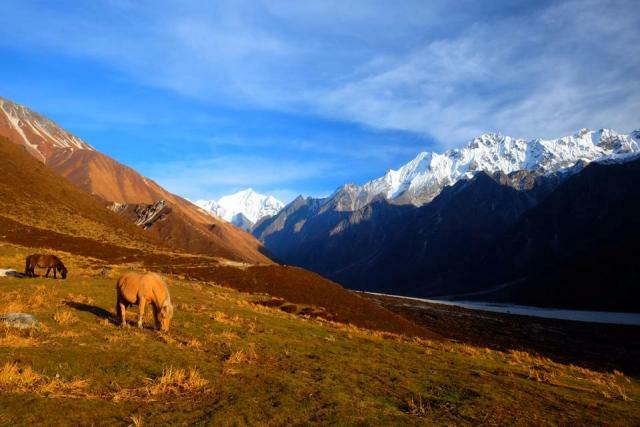 The route starts on the recently developed Tamang Heritage trail to the west of the Langtang Valley, an area where you will find very few trekkers but lots of friendly villages, good accommodations, and pleasant scenery. 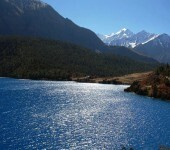 After six days exploring this area that is very close to Tibet geographically and culturally, we join the traditional Langtang Valley trek route for a 6 day jaunt up to Kyanjin Gompa (3800 m) where there are spectacular views of the Langtang peaks and the opportunity for hiking excursions to even higher viewing points. Instead of returning from Kyanjin Gompa to our starting point at Syabrubesi we turn south and cross the Laurebina pass (4600 m) and the sacred Gosaikunda lakes, one of the great pilgrimage destinations for Nepalis. From Gosaikunda it’s a relatively easy 4 day hike through Helambu region and Shivapuri forest back to Sundarjal, just an hour’s drive from Kathmandu. 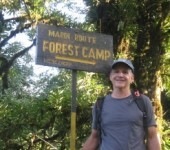 Recently one of our iTrekNepal guests, Scotsman Graeme Eadie, experienced this trek and shared his thoughts with us. 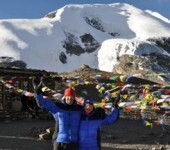 It was Graeme’s fifth trip with iTrekNepal and he said this was his best overall trekking experience of all that he has done, including the great Everest and Annapurna treks. As he put it, this is really “three completely unique treks into one great circuit trek”. 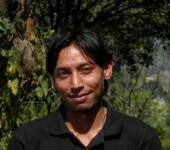 He also really appreciated being able to “walk almost all the way back to Kathmandu”. 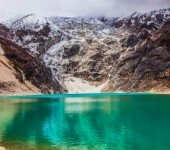 Most of all though he liked being able to trek at altitudes that allowed him to keep trekking all day and every day without needing to stop for acclimatization, but still getting high enough up into the mountains for spectacular views. 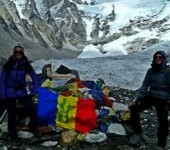 The Langtang Gosaikunda trek with Tamang Heritage Trail is a 20 day itinerary with 17 trekking days that can be done year-round, and can also be customized as a private trek depending on your schedule, interests, and trekking capabilities. Over 2500 years ago Siddhartha Gautama, commonly known as the Lord Buddha, was born into a royal family in a small kingdom in Nepal just north of the Indian border. While ancients worshipped this site for centuries it had been lost and forgotten for almost 500 years until rediscovered in the 19th century. Today, Lumbini is a venerated pilgrimage site for Buddhists and a fascinating attraction for people from around the world. 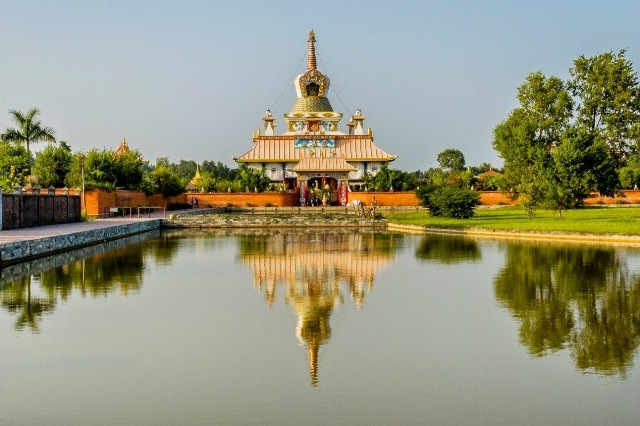 A UNESCO World Heritage site, Lumbini combines archeological treasures, history and Buddhist culture showcased within a heavily wooded site spread over 9 sq. km. Lumbini is divided into three main areas – the Sacred Garden that includes the Maya Devi temple and key archeological sites associated with the Buddha’s birth, the Cultural Centre/Monastic Zone that includes beautiful monasteries, stupas, and other structures constructed by various nations and Buddhist organizations, and the New Lumbini Village that houses a museum and various educational and administrative buildings. The various zones and individual sites are connected by a grand canal and pedestrian and bike paths running through the center of the complex. Touring Lumbini can take at least a day, and two days is recommended to see all of its treasures. Because of its size it’s best to rent a bike in the town just outside Lumbini park or take a rickshaw tour, with or without a local guide. Lumbini is a very peaceful and spiritually invigorating experience, with such a variety of cultural and architectural offerings that it can be almost overwhelming. Whether you are specifically interested in Buddhism or would just like to experience a part of Nepal history and culture, Lumbini is once-in-a-lifetime experience. The best way to get to Lumbini is by 30 minute flight from Kathmandu to the nearby airport, or you can drive from Kathmandu or Pokhara in 6 – 7 hours. We recommend staying at the lovely Buddha Maya Gardens hotel just outside the Lumbini gates. The hotel has deluxe rooms, fine food, and several acres of secluded gardens for a very relaxing stay. cousin cashmere are found everywhere throughout Nepal, and are especially popular materials for shawls, scarves and sweaters. 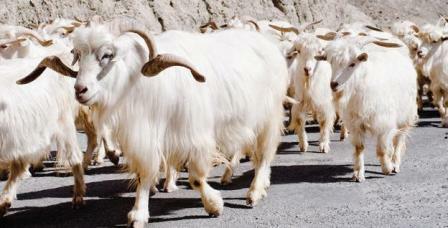 When trekking in Nepal, especially in the semi-arid parts of the Annapurna mountain region you may see herds of pashmina goats. This breed of goats has adapted to its cold environment by growing its wool coat to retain as much heat as possible while still being exceptionally light and tough. Pure pashmina from Nepal has very fine fibers (at 14 – 19 microns they are 6 times finer than human hair). Because the fibers are so thin they cannot be spun on machines and must be hand crafted. 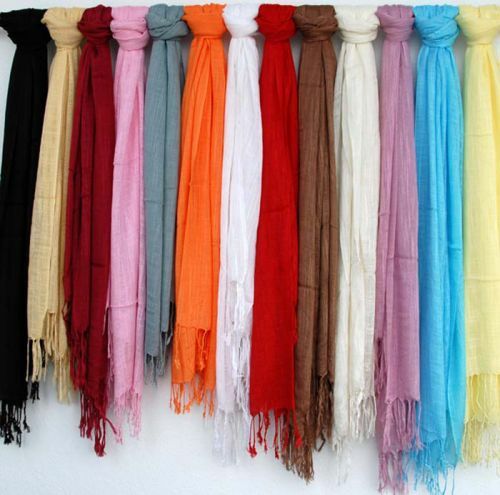 Pashmina scarves are very light, warm and durable. However, pashmina is sometimes mixed with other lower quality wool, silk, or synthethic fibers so it’s important to know what you are getting when you want to buy pure pashmina. One test is to draw the scarf through a (finger) ring – if the fibers are pure pashmina the scarf will pass through your ring without difficulty. If you are shopping for pashmina products in Nepal and are unsure of the quality or appropriate price you can request help from any of the iTrekNepal staff who can help you find pashmina that you will be proud to own or bring home as gifts. 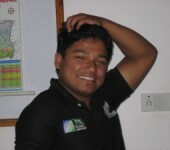 Want to know more about the trek and adventure services we provide, click on the link below. There is no cost or obligation for using our expert planning services.